Crafted with the finest 100% Cotton Jersey knit with brushed finishing. 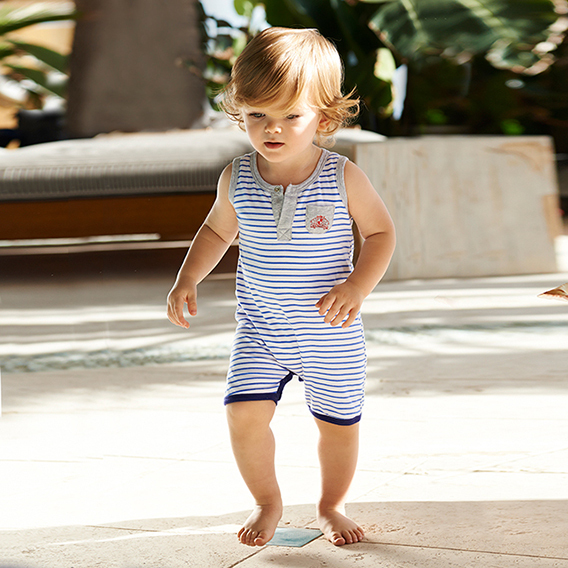 Our classic playful Shortall Onester™ with our double-layer front features a charming pocket with elephant heraldry embroidery, and a standard placket with snap closure. The crafted inner layer reflects a contrast pinstripe.